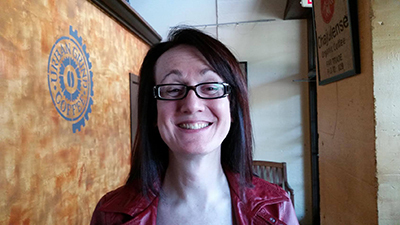 Alyssa Faden has been a professional cartographer and GenCon panelist since 2012. She is best known for her incredible cityscapes and stunning details, often inviting viewers of her creations to see stories-within-stories for years after. Her clientele includes Monte Cook Games, Kobold Press, Profantasy Software, Gygax Magazine, Golden Goblin Press, and Frog God Games. Her style is unique and self-taught, with influences from the lovely ink work from such greats as Jeff Laubenstein and Jeff Easley. She is a long time Blue/Red box gamer with a passion for tabletop gaming and game mastering, and these decades of imagination and storytelling come through in her artwork.